Astoria Park is an oasis for both kids and parents located in the borough of Queens. Lots of green space on a beautiful waterfront and amazing views. It’s located underneath the Robert F. Kennedy (formerly Triborough) and Hell Gate Bridges in Queens, New York. The park primarily sits between the East River and 19th Street, and from Hoyt Avenue South to Ditmars Boulevard. Situated on nearly 60 acres, there is something for everyone to discover and love about Astoria Park. The best attractions include New York City's oldest and largest swimming pool, a running track, fourteen tennis courts, a children’s playgrounds, a a skatepark, running tracks, workout stations, and a soccer field that will be delivered to the population in the spring of 2020. An ice cream by the waterfront while watching a breathtaking sunset in Astoria Park is one of the most delicious and fun things to do in New York City. Astoria and Astoria Park are amongst the top 4 most famous film shooting spots in the United States of America. Check this out: the top 5 most filmed locations in the United States of America are: #1 Central Park; #2 Venice Beach (California); #3 Greenwich Village (Manhattan); #4 Astoria (Queens, New York); #5 Williamsburg (Brooklyn, New York). So if you and your kids are lucky, you guys might catch a film shooting session of “Orange is the New Black,” “Jack Ryan,” "You” and many others. It does not matter if it’s summer or winter, spring or autumn. 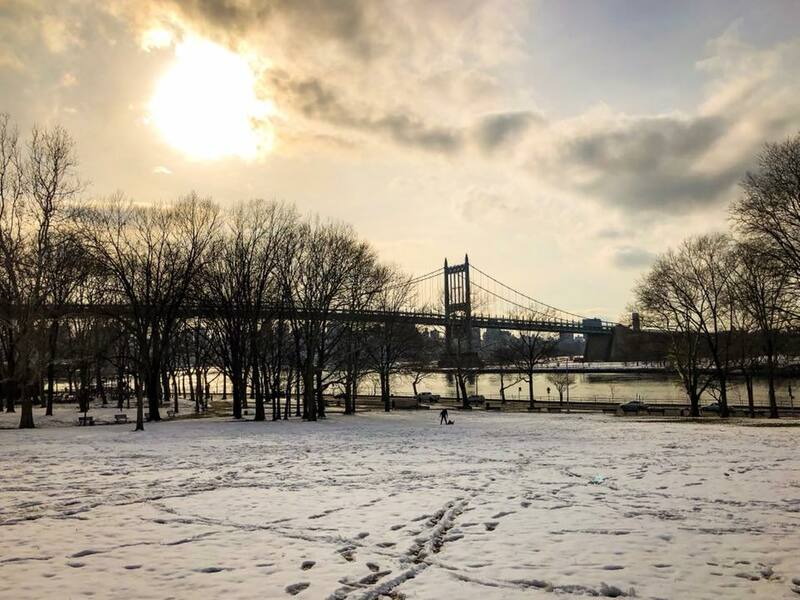 Astoria park is nice and beautiful during all seasons of the year.